Vegan Girl Scout Cookies? In Demand or Not? It seems that like bunnies hopping and birds chirping on the first day of spring, everyone is a buzz with the topic of Girl Scout Cookies. 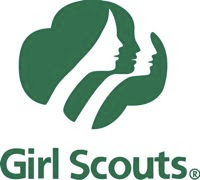 "I saw Girl Scouts today! Where are they? Did you buy any? What is your favorite cookie? Thin Mints! Those peanut butter ones! o.m.g." It's hilarious how excited the chatter can become. But I get it. I used to be a Girl Scout. Or maybe I was a Brownie. Hmm, same thing I guess..sort've..anyways.. I actually really wasn't that fond of Girl Scout Cookies was a kid, but nowadays I definitely understand the nostalgia. And I love how cookie selling brings out the competitive streak in even the sweetest and shyest of Girl Scouts - it's like The Apprentice, only with smiling, pig-tailed little girls peddling stacks of chocolate-covered, coconut-crusted sugar disks. Are Vegan Girl Scout Cookies Available? Q: Why don't you offer cookies that are whole-wheat, wheat-free, non-dairy, dairy-free, vegan, sugar-free, gluten-free, organic, low-carbohydrate, low-calorie, low-fat, non-fat, fat-free, etc.? A: The demand for specialty cookie formulations is simply not great enough to make it economically feasible to offer a variety of specialty types. Of all the different possible formulations, sugar-free seems to be the most popular, yet in the past, even the sugar-free Girl Scout cookies that have been offered have had to be discontinued due to lack of demand. Our bakers continue to experiment and develop formulations that balance the best tasting cookies using the healthiest ingredients. Now interestingly, if you take a peek at the ingredients of the cookies, you will find four milk-free and egg-free cookies: Lemonades (lemon flavored white cookie), Thanks-a-Lot (white cookie with a thin fudge bottom layer), Peanut Butter Patties (peanut butter covered by chocolate) (note: some 2010 guides show that PBPatties DO contain MILK) and Reduced-Fat Daisy Go Rounds (a cinnamon-vanilla cookie made for 'calorie counting). So I was a bit confused why the FAQ page says they don't make vegan cookies. These seemed vegan after reading the ingredients list - but they are not certified vegan, so you never know if certain ingredients are derived from animal products or use them in processing. And really, are you that excited about white flour, high fructose corn syrup and saturated fat in cookies? I Support Girl Scouts. My heart kinda breaks because I really want to support the Girl Scouts and their cookie selling - but what do I do with cookies I don't really want to eat? I support your organization and wanted to let you know that I would LOVE to buy a certified vegan cookie from you. I would also love you to consider using healthier ingredients in a new line of 'healthier' cookies. Ingredients like maple syrup, spelt flour, nuts, dried fruit and dark chocolate. Please consider my request. Thanks and good luck this cookie selling season! Last Words. FYI, I don't mean to make anyone feel badly about buying the current Girl Scout Cookies. Those girls have to sell cookies, right! So hopefully with enough chatter about a demand for a "healthy makeover" vegan or even gluten-free cookie, more consumers can buy the cookies and support the Girl Scouts.